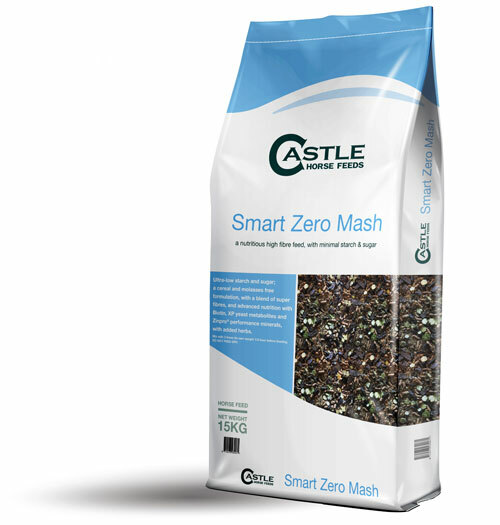 Smart Zero Mash is a tasty and nutritious mash with mixed herbs, offering a high fibre, low starch and sugar diet to promote gut health and integrity. Smart Zero Mash is ideal for laminitics, horses and ponies with Equine Metabolic Syndrome (EMS), Insulin Dysregulation, PPID (cushing’s disease), ulcer prone horses and ponies, veterans with reduced chewing ability and horses and ponies with compromised digestive health. Soya Hulls, Unmolassed Sugar-beet Pulp, Grass Pellets, Flaked Peas, Full Fat Linseed Meal, Soya Oil, Vitamins & Minerals, XPC yeast, Fenugreek, Oregano, Sage, Garlic, Mint, Parsley, Marjoram, Peppermint. Feeding Rate & Instructions: Mix with 3 times the volume of water and soak for 30-40 minutes before feeding. To speed up soaking time use warm/hot water. 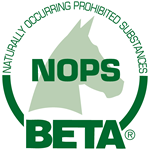 Feed 200 – 600 gm per 100Kg of horses weight, depending on condition and work done. Weigh before soaking. Or replace weight for weight with your regular feed.